We are thrilled that FortisBC features REALice in one of their energy conservation commercials. 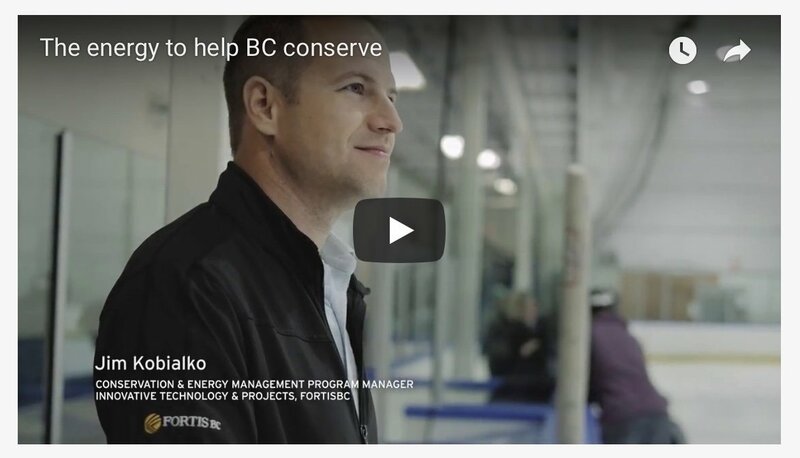 The 30-second clip, featuring Jim Kobialko, the Conservation & Energy Management Program Manager for Fortis BC, has been posted on the web and is also being shown on TV. Are you a FortisBC electric customer? FortisBC electric customers can also receive incentives and rebates for installing high-efficiency equipment, like REALice. Simply contact your FortisBC electricity technical advisor to find out more. In 2014, FortisBC ran a large scale pilot project that introduced the REALice cold water ice resurfacing technology to 10 ice arenas across BC. According to FortisBC, by using REALice these ice arenas cumulatively reduced their energy consumption by 2,900 gigajoules per year! Thatâ€™s like taking 714 cars off the road annually! The commercial is a part of a series of ads which explain how FortisBC looks for new technologies for its customers to adopt, and by providing conservation and energy management rebates, it is helping its customers reduce costs and save energy.